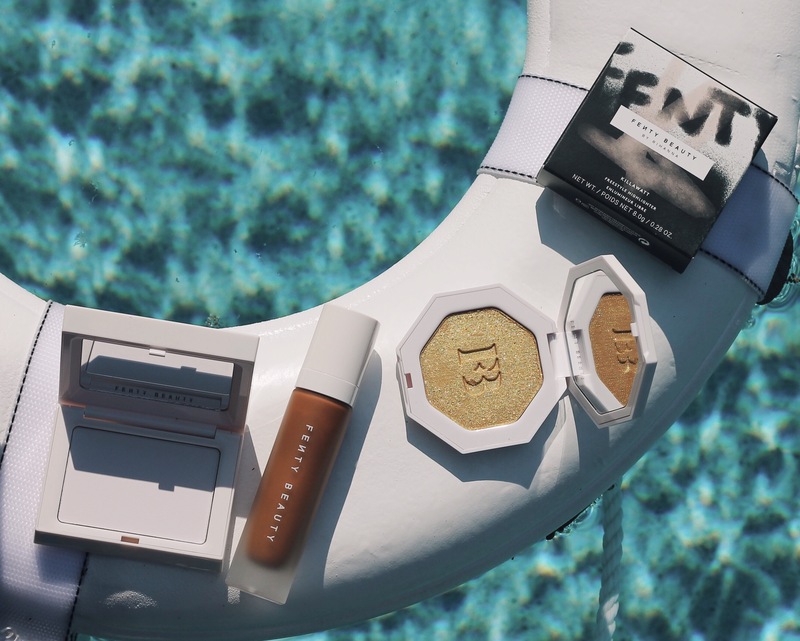 I was skeptical about trying Rihanna’s newly released Fenty Beauty makeup line, especially since it barely had reviews before it went up on shelves – I stand corrected. The Fenty Beauty line is made in the same lab that Marc Jacobs, Bite Beauty and Kat Von D use, so you already know her stuff is my kinda stuff. I tried out the line while on my usual Sephora rounds and my oh my was I impressed. I tried the foundation first. It’s consistency and feel is quite similar to Marc Jacobs Gel Genius (my holy grail), only, this one has a matte finish. 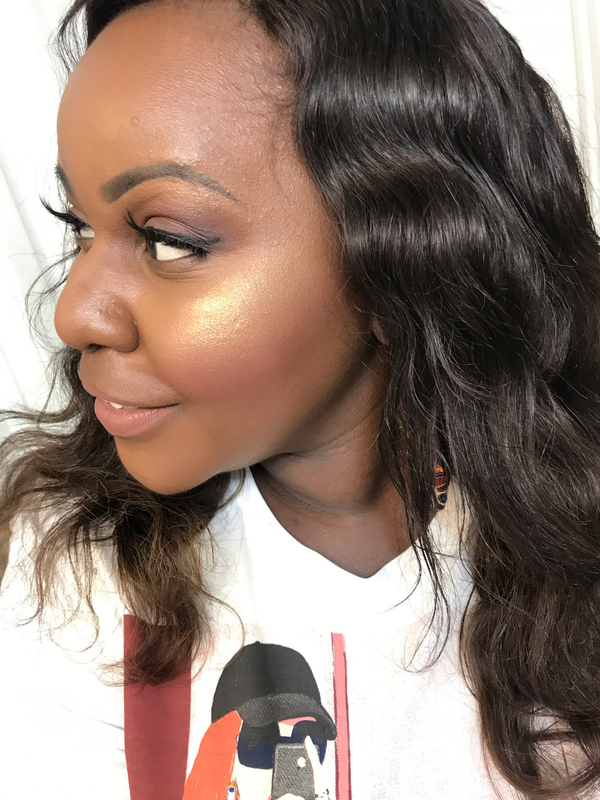 I love my Gel Genius foundation but it’s hard to wear in the summer with the dewy finish. 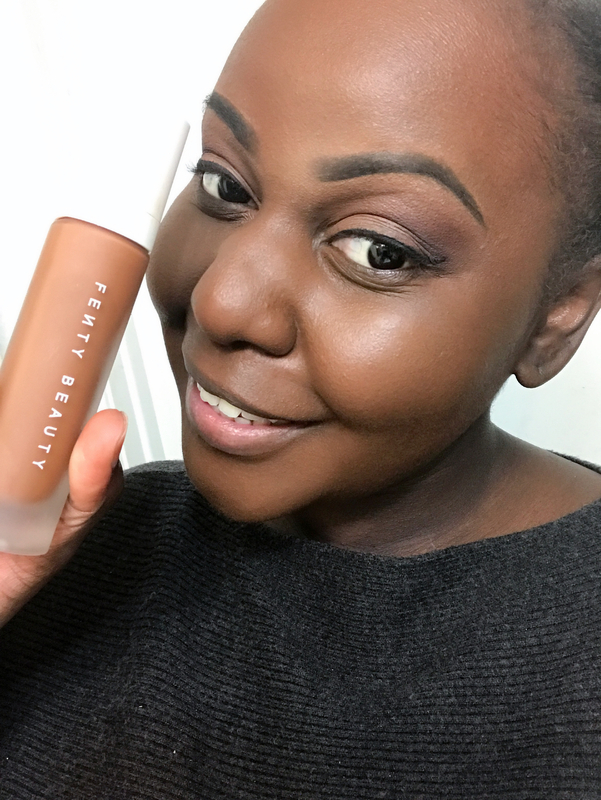 I needed something matte and Fenty Beauty foundation delivered. Yes, it’s the best I have tried so far and she has 40 all-inclusive shades. If that’s not a selling point, I don’t know what is. My shade is 450. 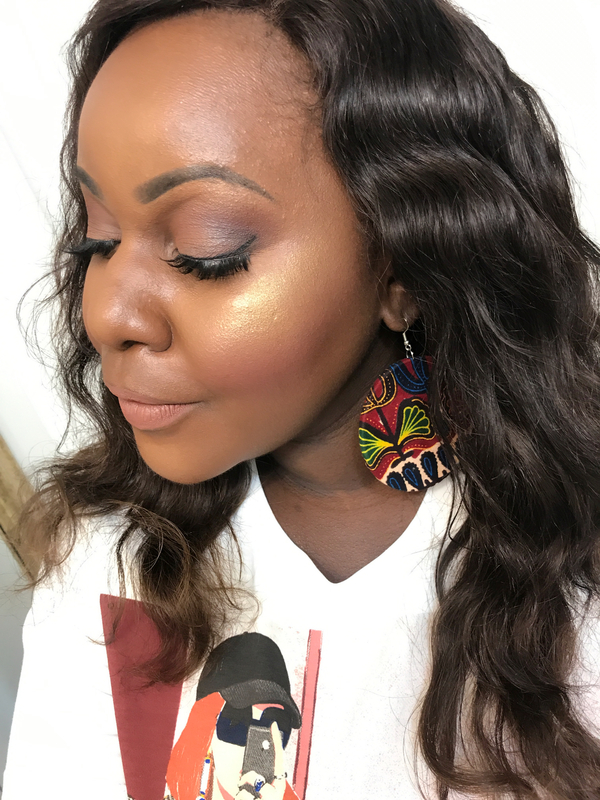 The “Trophy Wife” highlighter has been marketed the most (Rihanna’s fav). I had my reservations but this highlighter is poppin’. You have to have that daring bone in you to rock it though. The brightness takes you by surprise – I’d recommend using a very light hand while applying it, a little goes a long way. The outcome however is fabulous! The last product I got was the blotting powder. Rihanna says she carries it in her purse for touch-ups on the red carpet. Me and my oily face are always on the look out for oil control anything and this product works beautifully. I only did one touch up on my T-Zone and that took me for the rest of my day in this Texas sun. 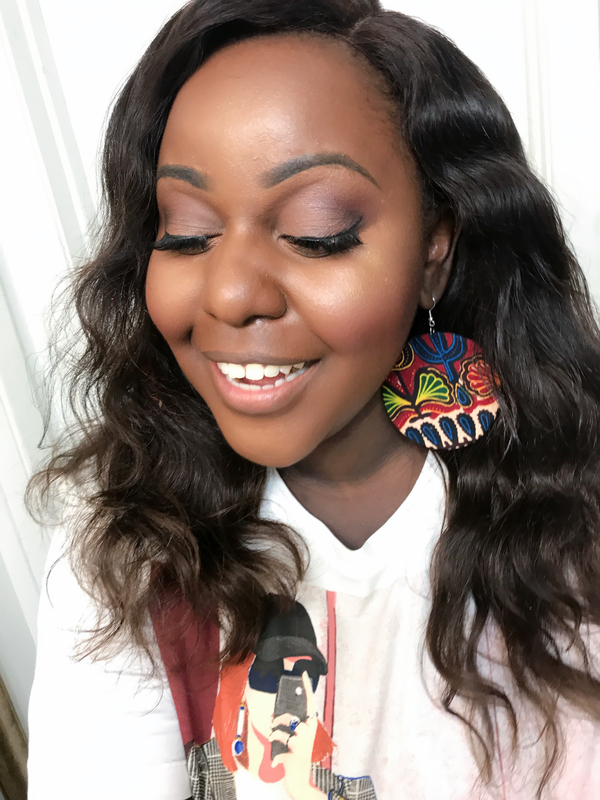 I tried out the Match Stix, specifically the trio for deeper tones however, I didn’t get it because the the deepest shade wasn’t deep enough to work as a contour for my skin tone, and I have a highlighter very similar to the one it had. I loved the Blonde Match Stix highlight. It looked amazing underneath Trophy Wife and gave it a more solid finish. It’s probably something I will get later on. 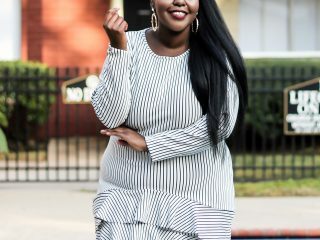 The lip-gloss was nothing special, except for the fact that it suits every skin tone. It has just a bit of gold shimmer however, it’s mostly transparent. 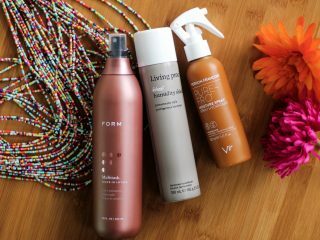 This beauty line is amazing!!! I am so impressed in a way that I didn’t expect. The products are the quality of the super luxury brands with reasonable prices. 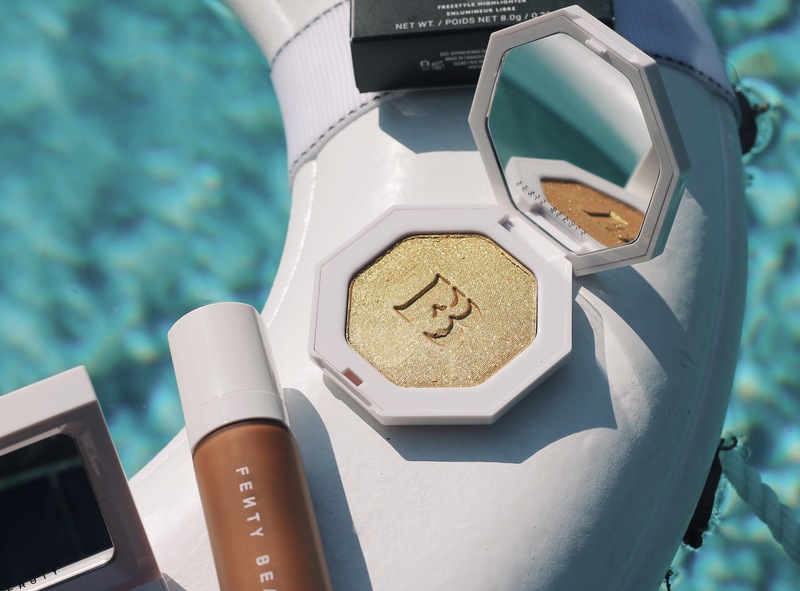 Rihanna’s Fenty Beauty line has been a long time coming. She took her time, created something with top quality and delivered the best. This is a line I will be looking out for.